On this West Virginia Morning, coal companies in central Appalachia have used mountaintop removal to mine coal for decades. The controversial process blows the tops off mountains to reach the coal seams below. Researchers and policy makers have struggled to understand the full extent of mountaintop removal across the region. Brittany Patterson reports on a new study that provides a big-picture view of the mining method’s impact. Also on today's show, in a hospital, ‘Do Not Resuscitate’ means staff aren’t supposed to give CPR if a patient’s heart stops. It’s an order doctors put into a patient’s chart at the request of the patient. But these DNR orders can result in unintended consequences – the withholding of treatment before death. As WFPL’s Lisa Gillespie reports, the misunderstanding is common in hospitals, both in Kentucky and around the country. Federal officials have announced a $2.2 million proposed settlement with CSX Transportation to resolve the company's liability for water pollution violations stemming from a train derailment that caused an oil spill in West Virginia. West Virginia Sens. Joe Manchin and Shelley Moore Capito say the state is receiving $1.2 million in funding from the Environmental Protection Agency to battle surface water pollution. 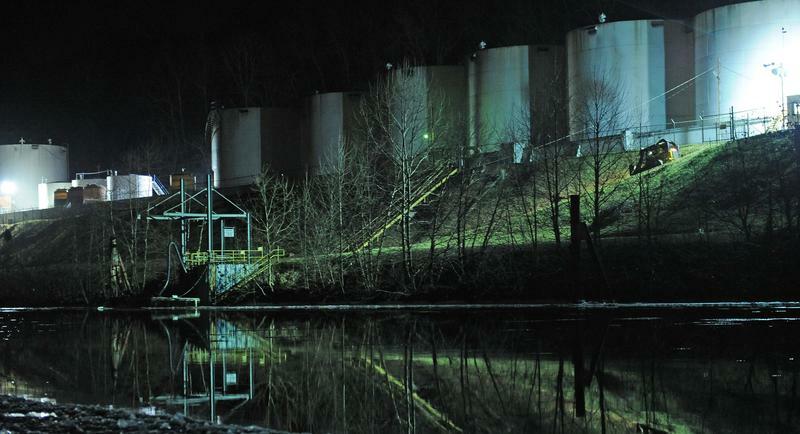 A release from the two U.S. senators says the grant will also help West Virginia implement an "effective underground storage tank state regulatory program." How Would You Improve the Natural Gas Pipeline Process? Seventy-five-year-old farmer Curtis Johnson doesn’t object to pipelines, but does take issue with some of their construction practices. Johnson sold easements to the nearly completed 713-mile Rover Pipeline, which originates in the Ohio Valley and is designed to transport 3.25 billion cubic feet of natural gas to Michigan and Canada.